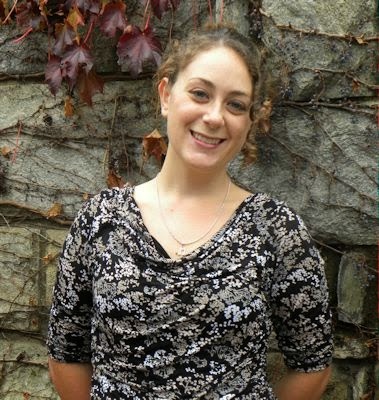 Please welcome Suzanne Rigdon to The Qwillery as part of the 2014 Debut Author Challenge Interviews. Into the Night was published on December 2nd by Spence City. Suzanne: I started writing at a very young age, mostly just scratching little poems on notepads. My mom actually just found one I wrote when I was six! But once I got into high school I started writing longer works much more seriously, and that’s actually when I started writing Into the Night. Most of the time I write because I get a line or an idea stuck in my head and I can’t concentrate on anything else until I write it down. Then it just goes from there. Suzanne: I am absolutely a pantser. If I spend too much timing outlining or planning, I lose the drive and excitement that propels my writing. I’d rather just type as fast as my fingers will go and then fix whatever’s messiest in revision. Suzanne: Getting past the first draft. It’s such a hurdle to hit “the end” that when I start looking at the work I’ve done so far I get a little lost on where to begin. Luckily I have an excellent editor who helps me with this. Suzanne: I read across the board. On the paranormal side of things I’ve been a huge fan of Sherrilyn Kenyon’s Dark Hunter series for years. I also read Charlaine Harris’ Sookie Stackhouse books before they hit HBO. More recently I’ve fallen in love with everything Tana French and Gillian Flynn have written; their stories are dark, and compelling, and I love their prose. But actually, my new favorite book is East of Eden by John Steinbeck. TQ: Describe Into the Night in 140 characters or less. Suzanne: Vampire hunk saves girl by turning her. She battles being undead, a violent Queen and some less than thrilled brothers. TQ: Tell us something about Into the Night that is not in the book description. Suzanne: Selina and her best friend Jess have a serious love of belting out Eddie Money songs in the car. TQ: What inspired you to write Into the Night? Do your vampires follow the classic rules (can't go out in sunlight, no reflection, etc.) or are they something different? Suzanne: Writing about vampires happened by accident, really. I’d been heavily reading Sherrilyn Kenyon and had that immortal badassness firmly rooted in my brain when I started drafting a scene that actually made it fairly untouched into the final book. Yes, my vampires are allergic to the sun and are very hard to kill, but they also have abilities that vary from vampire to vampire, which fall much more on the paranormal side of things, including telekinesis. TQ: What sort of research did you do for Into the Night? Suzanne: While in Boston on a business trip, I managed to sneak away long enough to walk the cobblestone streets and the parks at night to get a better sense of the place. For other settings, I mostly hand-drew them so I had a clear idea of how they looked while writing. And of course I kept on reading my favorite paranormal and urban fantasy novels. TQ: In Into the Night who was the easiest character to write and why? The hardest and why? Suzanne: Jess, Selina’s best friend, was the easiest character for me to write because she is just so warm and bubbly. She’s fun and friendly and always has sassy things to say, and for me, it was a joy to put them down on paper. Conversely, James, the main love interest was actually most difficult for me to write. It took several drafts to create a man who at once is dark and contemplative, but who is also sweet and funny and will dance with you under a streetlight. TQ: Give us one or two of your favorite non-spoilery lines from Into the Night. 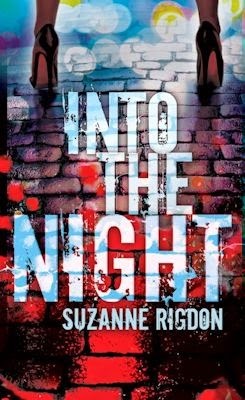 Suzanne: I’m actually deep in revisions on the sequel to Into the Night and will be posting more info about that in the coming weeks! It’s been great digging back into the world and expanding it further than what I was able to cover in the first book, including vampire lore and politics. Suzanne: Thank you so much for having me! Follow her on Twitter: @SuzyRigdon & check out her blog.